The Reykjavík International Literary Festival will take place this coming April 24-27, the first time the festival has been held in Spring, in recognition of World Book Day. Since 1985, the festival has been held biennially in September. This year‘s agenda is ripe with readings, panels, and lectures, all of which are free and open to the public. 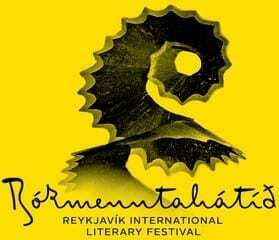 The works of the festival‘s diverse international guests are available or forthcoming in Icelandic translation. This year also marks the centennial celebration of the publication of Nobel prizewinner Halldór Laxness‘ first novel. To commemorate the occasion, an international symposium will be held in his honour. The Orðstír award for the translation of Icelandic literature into foreign languages will also be given for the third time. All events are free and open to the public. The festival will be held primarily in English, but authors will read in their native languages, accompanied by Icelandic and English translations. The childrens‘ program will be held in Icelandic. Events will be held in Nordic House and Iðnó, with exceptionally varied offerings, including readings, lectures, interviews, stand-up comedy, and the Book Ball, a fixture of the literary festival. Nearly twenty foreign authors will take part this year, and their works have been, or will soon be, made available in Icelandic. As in previous years, a number of Icelandic authors will participate in this year’s program, in concert with international guests. A number of foreign publishers have also been invited to attend the festival to celebrate Icelandic literature and writers, and representatives of the foreign media will be present. As in 2017, the festival will start with a bang at Culture House Hof in Akureyri. There, a schedule of literary events featuring foreign and domestic authors and readers will be held on April 23. The events in Culture House Hof have been arranged in collaboration with the Akureyri Cultural Society. An international symposium will be held in honour of Halldór Laxness, in a centennial commemoration of the publication of his first novel Barn náttúrunnar (Child of Nature). In collaboration with Gljúfrasteinn and the Vigdís Finnbogadóttir Institute of Foreign Languages, the event is an extension of a symposium held in Laxness’ honour in Oslo last November. The festival also includes a childrens‘ program, organized for young readers, which will feature story time events and opportunities for children to express and embrace creativity. The childrens‘ program will take place in The Nordic House. All events are free and open to the public. 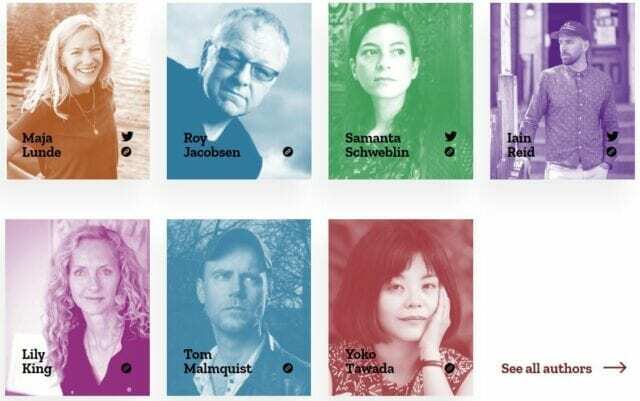 The festival will be held primarily in English, but authors will read in their native languages, accompanied by Icelandic and English translations. The childrens‘ program will be held in Icelandic. A full agenda will be released in April, and participants will be announced on social media in the lead up to the festival. Attendees‘ books will be available for purchase at Eymundsson. The Reykjavík International Literary Festival is made possible by the support of the Ministry of Education and Culture, Reykjavík UNESCO City of Literature, Nordic House, the Society of Icelandic Publishers, and the Icelandic Literature Centre. The festival is partly funded by generous grants from various donors and is held in cooperation with a number of centres, societies, and associations.